Mobile credit card processing lets businesses sell products on the go with a smartphone or tablet. The best processing tools have competitive rates, come with a free app, and can function offline. We compared dozens of solutions to narrow down the top six mobile credit card processing solutions for small businesses. Square (Best Overall) Most affordable and user-friendly option for small businesses. Dharma Established businesses that want the lowest processing rates. Shopify Multichannel businesses that sell online and over mobile. Chase Merchant Services Retailers that have Chase Business accounts. PayPal Here Cost-effective option for businesses that don’t need full POS features. QuickBooks GoPayment Businesses that use QuickBooks. There are a number of mobile credit card processing solutions, but a select few stand out from the rest in terms of ease of use, simple fee structures, and upfront accessibility. Small businesses need a convenient and flexible solution that doesn’t break the bank. Established businesses need competitive card processing rates and a reliable system. Overall, we targeted our search to uncover top mobile payment processors based on their affordability and simplicity. Price – Companies that are small business-friendly, including low-cost setup and low or no monthly fee or minimum. We heavily considered fee transparency. Ease of use – Processors that are easy to use on the go. We also heavily considered how easy it is to sign up and start using each product. POS app – Companies that offer a free mobile app for processing transactions and bonus features like sales reports, analytics, and customer directories. Simplicity – Companies that have fee structures that are easy to understand and don’t have surprises. Reliability – Hardware and mobile credit card readers that are low-cost and reliable. Ability to accommodate multiple sales channels – Can also accommodate in-store, ecommerce, and invoice payments. Based on the above criteria, Square is our top choice for mobile credit card processing. Square has a transparent, flat-rate fee structure with no startup, monthly, or cancellation fees. There is no application process for Square. Businesses simply sign up online, download the free Square POS app, and receive a free credit card reader in the mail. The Square app can process transactions offline and comes with bonus features like sales reports and inventory tracking. Square processes mobile payments by plugging a card reader directly into your Apple or Android smartphone or tablet. 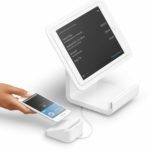 Square is the best choice for most small businesses because it has the most feature-rich, mobile point-of-sale (mPOS) app, a user-friendly interface, no application process, and offers competitive processing rates that are the most affordable option specifically for businesses with an average transaction under $20. Square has no startup or monthly fees and supports both physical card swipes and keyed-in payments via its powerful mPOS app. You get a free magstripe reader for swiping cards upon signup. Additional readers, including options for processing EMV chip cards, are available for purchase. Square covers virtually every on-the-go credit card processing need a business can dream up. They are the mPOS industry leader, with the ability to accept payments offline and features like an automated customer directory and digital receipts. When you process credit card payments with Square, funds are usually available in your account within one to two business days. Accept Visa, MasterCard, Discover, American Express, Apple Pay, and Android Pay. Process physical magstripe and EMV chip cards. Process contactless credit card and eWallet payments. Use Square’s free mPOS software to fully track inventory and sales, and manage your entire business. Allow multiple staff members to process payments using multiple devices. Accept payments with or without a connection using Square’s online/offline mode. Manually enter credit card numbers and process payments without a reader. Have customers e-sign receipts on screen. Allow customers to add or adjust tips. Email a customer receipt upon completion of a mobile sale. Sell existing inventory items or charge custom amounts. Email invoices and accept online invoice payments. Add and track sales taxes. Process refunds and track store credits. Record and track check and cash sales. Integrate with top accounting programs like QuickBooks and Xero. Square Payments is one of the most robust mobile payment solutions on the market. Online Selling – Square offers a free online store that you can easily launch right from your Square inventory, plus Square integrates with virtually every top ecommerce platform. In-Store Retail Sales – Square’s top-rated retail POS system lets you seamlessly track inventory quantities, sales, customers, and more. A countertop checkout for your iPad starts at just $169, and you can add a cash drawer, receipt printers, and more. Invoicing and Recurring Payments – If you run a service business, Square’s powerful invoicing and recurring payment features are built right in, with no added fees. Square does a great job covering all of the bases when it comes to mobile and, frankly, all possible needs for credit card processing. But there are a few areas where Square falls short. One of the most common customer complaints is that you need to provide a customer code or prove that you have an active Square account in order to receive phone support. Plus, phone hours are 6 a.m. to 6 p.m. PST, Monday to Friday. If you run into a processing issue over the weekend, you have to submit a support ticket. Overall, Square reviews are very positive. Users like that the app is easy to use and that the fee structure is easy to understand. Square is also one of the only card processing providers that doesn’t have a monthly minimum or fee. Square is one of the most popular mobile credit card processing solutions—and for good reason. Square’s transparent fee structure, array of payment processing options, and free management tools allow businesses to easily launch and grow in any desired direction within one seamless, scalable system. Visit Square’s website to get started with a free account and mobile credit card reader. Dharma is a merchant services provider that offers very low interchange-plus credit card processing for low-risk and established companies. Dharma has some of the lowest credit card processing rates available for businesses that have an average transaction above $20, and they have a free mobile app, called MX Merchant, that processes payments, stores customer data, and offers analytics. Dharma offers interchange-plus pricing with a flat monthly fee of $20. Their fee is 0.15% + $0.07 plus interchange, which for Visa credit cards, for example, equals a total of 2.01% + 25 cents. The rate is even lower for debit card transactions. Dharma’s prices are very low, but are best suited for established businesses with higher average transactions because there is a monthly fee, and the cents per transaction charges can add up. 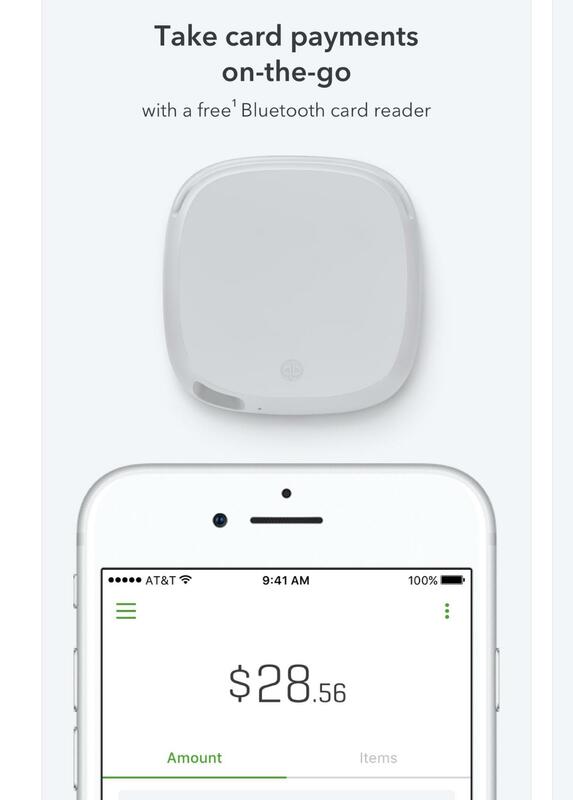 Square is the most affordable option for businesses with average transactions below $20. But, if you are over $20, Dharma becomes the most affordable. *Dharma does not charge extra for keyed-in transactions, which is what the MX Merchant mobile app is designed for. So, card readers are convenient but not necessary. Dharma is a full-service merchant service provider. This means each customer has dedicated support. Every Dharma account also includes access to MX Merchant, which is an online dashboard that includes a virtual payment terminal, invoicing capabilities, a customer database, and reporting. Businesses also have access to MX Merchant Express, a free mobile POS app for processing sales. Free MX Merchant Express app for accepting mobile payments on Apple or Android smartphones. Key-in mobile payments for no extra fee. Send email and SMS text receipts with custom logo. Store customer data including payment information right in the MX Merchant Express app. Add tips to transactions on MX Merchant Express app. View past transactions and sales reports. Mobile card reader for accepting chip and swipe payments available for $99. ACH payment processing available for $25 per month extra. Dharma’s free mobile app, MX Merchant Express, lets businesses process payments on the go. Dharma is a great option for established businesses looking to save money on processing fees. However, Dharma is not a good fit for startup and smaller businesses that don’t have consistent sales volumes. Dharma has a decent mobile app for processing sales on the go and valuable back-end feature in the MX Merchant. However, it does not have full retail POS capabilities like Square or Shopify. Dharma also does not come with a free mobile card reader. Dharma has very positive reviews. Businesses like the low-cost payment processing Dharma provides and their attentive customer service. Unlike Square, which anyone can sign up for and use, Dharma is selective about who they work with, so some reviewers were disappointed about being rejected during the Dharma application process. The first step in getting started with Dharma is visiting their website and filling out a brief form. When you talk with a Dharma non-commissioned salesperson, they can perform a free cost comparison and walk you through what to expect. Dharma is the best option for established businesses looking for very low mobile credit card processing rates. Visit Dharma to get started. Shopify delivers a powerful mix of mobile, online, and in-store selling tools with every plan, starting at just $9 per month. Shopify POS has built-in payment processing with a competitive flat-rate fee and a free mobile POS to sell on the go. Ecommerce businesses can sell in-person while keeping all of their inventory, sales, and customer data from every transaction in one place. These tools make Shopify the best mobile card processing for ecommerce sellers who also want to sell in-person. Shopify’s entry-level plan, Shopify Lite, gives you a full-featured mobile POS, sales and inventory management tools, shipping functions, several online selling options, and a Facebook shop integration, all for just $9 per month. Plus, you can sign up and start accepting credit cards in minutes, get a free mobile credit card reader, and enjoy competitive rates with no startup or cancellation fees. For our comparison of startup-friendly mobile credit card processing services, we’re featuring the entry-level Shopify Lite plan pricing below. With higher-level plans, your processing rates can drop as low as 2.4%, but these carry higher monthly fees. For more on that, see our article that compares all Shopify plans and pricing. Accept Visa, MasterCard, Discover, American Express, Apple Pay, Android Pay. Access Shopify’s business, inventory, payment, and shipping management tools. Take orders for products to ship at a later date, plus receive shipping discounts through Shopify Shipping. Sell all or select products online, on a blog, or in a Facebook store. Split payments and process refunds. Apply coupons and promotional discounts on sales. Sell items from inventory or create custom charges. Access excellent phone and chat support 24/7. Shopify makes it easy to sell through multiple in-person and online channels. Shopify POS is the mobile extension of Shopify’s industry-leading, back-end ecommerce store and order management system. 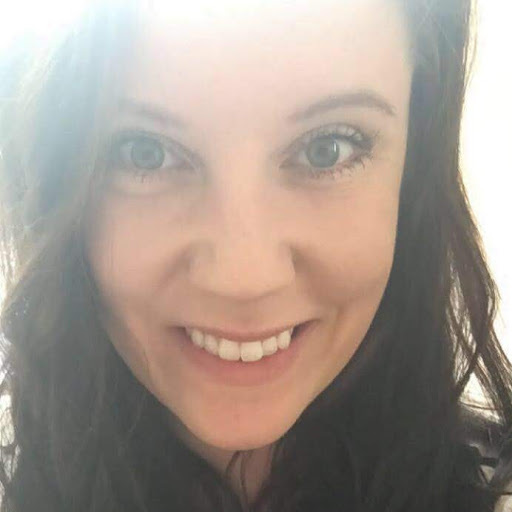 Even with the $9 per month Shopify Lite plan, you get access to powerful selling features like online and Facebook sales, shipping management, and inventory tracking. Shopify POS lets you easily extend your sales reach beyond in-person mobile credit card processing. Shopify POS is a great choice for small businesses selling over mobile, in-store, and online environments. But it’s very retail-oriented, which limits it for some uses. Plus, we uncovered a few other shortcomings, including the fact that Shopify cannot process credit cards without an internet connection, which is a super-important feature for mobile card processing. You can use your own merchant account for online sales on Shopify, but for in-person selling, Shopify POS only works with Shopify Payments, which is Shopify’s all-in-one payment solution. So, no rate shopping here. Shopify is designed with retail in mind, so Shopify POS has no add-on tip features for bars or restaurant needs. Additionally, to have multiple staff members process payments with multiple devices, you must add the Retail Package at $49 per month. Reviews for Shopify are extremely positive. Business owners like the sleek interface and that it comes with so many built-in features for multichannel selling. That being said, if you are just looking for mobile processing and nothing else, you won’t need most of the features that come with Shopify. There aren’t many negative reviews or patterns of specific complaints regarding Shopify. Visit our Shopify Review Page to read more. Shopify’s monthly fee makes Shopify POS pricier than both Square and PayPal, but for multichannel sellers, the cost is worth the convenience. If you plan sell both in-person and online, Shopify Lite is an ideal, risk-free launchpad with competitive mobile credit card processing rates and a low monthly cost. Chase Merchant Services offers mobile credit card processing through their Apple and Android app, Chase Mobile Checkout, and a $95 mobile credit card reader. Chase is a good fit for businesses that want to work with a single financial institution for all of their business needs, including payment processing, business accounts, loans, and credit cards. Chase Merchant Services offers quote-based pricing, so always speak with a payment specialist to get the best rate. However, some of the available rates listed on their website include a 2.89% flat processing fee for sellers with an average transaction over $20. For under $20, there is a flat rate of 1.99% for debit cards and 2.99% for credit card plus 15 cents available. Chase also offers interchange pass-through rates. Flat-rate payment processing (best for low-volume sellers). Interchange-pass through pricing (best for high-volume sellers). No long-term contract required (except in some cases with hardware leases). $95 Bluetooth card reader for accepting swipe and EMV chip payments. Free Chase Mobile Checkout app. 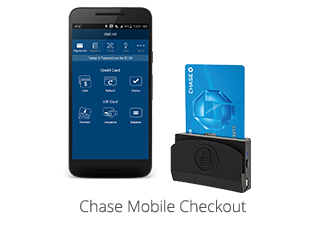 Chase Merchant Services Mobile Checkout app provides a surprisingly sleek interface for accepting mobile payments, managing gift cards, and viewing sales reports right from your smartphone or iPad. Businesses can add tips to transactions, check gift card balances, and create a product catalog with pricing for faster checkout and detailed reporting. Process magstripe and chip payments. Manually enter card numbers for payments. Authorize credit cards for future sales (such as for reservations or cancellation policies). Issue, redeem, and check balances on gift cards. View daily transactions and summaries. Manage chargebacks, funding, and settlements. Send customers email and text message receipts. Schedule follow-up appointments after each sale. Sell online, in-store, or over the phone with Chase Merchant Services. Funds appear next business day. Chase Mobile Checkout has a sleek but simple POS interface. Chase is a great solution for businesses that are looking to handle all financial aspects of their business, including credit card processing, in one place. Though you can negotiate a good rate with Chase, their published prices are higher than most of the solutions on our list, which is not ideal for businesses that are looking to save money on processing fees. Also, the Chase Mobile Checkout app cannot process payments offline. Chase has great reviews, especially for such a large company. They are part of JPMorgan Chase, one of the biggest banks in the country. However, Chase is also the processing service behind Square. Both card processors have some reviews that claim funds have been withheld. Because Chase is such a large company, it likely has a very conservative risk management team. So, if you are processing very large transactions or run a company with high-risk transactions, you should take that into account. Chase is a great option for businesses that prefer to work directly with banks or want all of their finances streamlined. 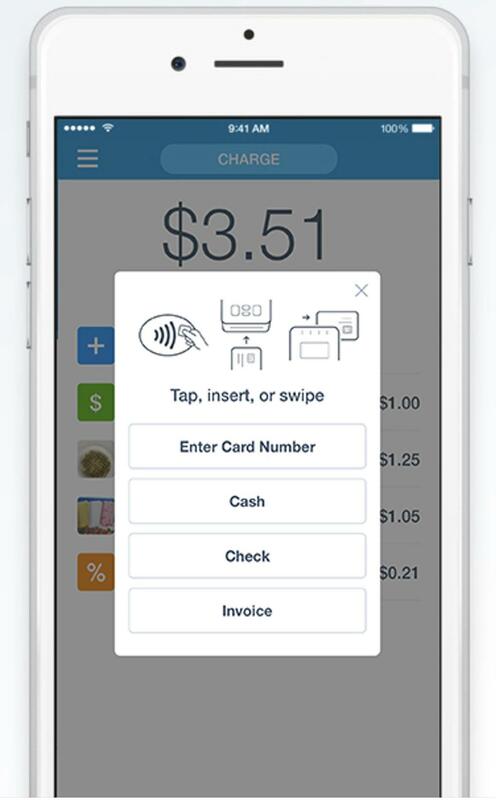 Plus, for mobile card processing, Chase offers a surprisingly sleek and easy-to-use app. Chase Merchant Services offers flexible payment gateway options and fast online transactions with no hidden fees or long-term contracts. You also get next business day funding with a Chase business checking account. Visit Chase to get started. PayPal Here is the logical mobile credit card processing choice for any business that wants to accept PayPal payments. PayPal offers very competitive flat-rate payment processing. However, PayPal Here is not nearly as feature-rich as Square. So, PayPal Here is the best Square alternative, and it’s an option for businesses that already use PayPal to accept online payments. You can add PayPal Here to any PayPal business account, including their free PayPal Starter account. New users can get started with PayPal Here with no startup or monthly fees, similar to Square. Let customers pay with their PayPal account or a credit card. Receive money into your PayPal account immediately. Let multiple users enter and process payments from different devices. Apply promotional discounts on sales. Use the PayPal Here mobile POS app to list items and track sales. Sell items from your list or create custom charges. PayPal Here offers a variety of payment options. Being able to accept PayPal account payments for mobile selling is a nice plus, but where that really matters is in online sales. Many online shoppers prefer to pay with PayPal, and accepting it can drive more online sales your way. Also, PayPal integrates with just about every ecommerce platform under the sun, so you have your pick when it comes to setting up an online store. If you want to use PayPal for online payments, PayPal Here is the natural mobile credit card processor for your business. PayPal Here does a great job handling all sorts of mobile and online payments, but compared to other solutions, there are a few things that are missing. For instance, PayPal Here does not have an offline processing mode. And, like Square, PayPal is its own credit card processor—you can’t use your own merchant account provider with PayPal Here. PayPal Here also does not have a full POS like Square does. With PayPal Here, you can list items that you sell and track sales, but there are no inventory tracking features at all in the PayPal Here app. If you want to expand into in-store selling, you really need a full POS system. Reviews for PayPal Here are generally positive. Both business owners and customers like that it is secure and easy to use. Businesses owners also like that funds can appear in their accounts immediately. However, some reviewers report issues with funds being withheld. Visit our PayPal Here Review Page for details. PayPal Here is likely the right mobile credit card processing choice for you if your business already accepts PayPal. Or, if you are just looking for no-frills, secure mobile card processing, PayPal Here is also a good option for your business. Visit PayPal Here to get started. QuickBooks GoPayment is QuickBooks’ mobile credit card processing service that syncs your sales directly to both QuickBooks Online and desktop versions. QuickBooks processing rates are very competitive, but not the lowest on the market, especially if you have lots of low-value transactions. But, if you use QuickBooks to operate your business, then using GoPayment for your mobile credit card processing keeps everything in one tidy package. Completely Standalone – You can use the GoPayment reader and mobile POS app as a completely standalone service even if you don’t use QuickBooks at all. Sync with QuickBooks – You can use the GoPayment mobile credit card reader and mobile POS app to process credit cards and sync mobile sales to your QuickBooks Online or Desktop data. As Part of QuickBooks Payments – You can add GoPayment mobile processing to QuickBooks’ complete credit card processing service, called QuickBooks Payments. With this option, you can get lower processing rates than GoPayment’s standalone fees, based on your overall charge volume. Options 1 and 2 both operate under GoPayment’s flat-fee structure, with no surprise or add-on fees. Since we’re focusing on mobile credit card processing services in this guide, those are the plans we’ll use for our price comparisons below. However, if you need to process credit cards in many scenarios, like a retail POS, mobile, and online, Option 3, QuickBooks Payments, can lower your overall rates. But you’ll see added fees for services like PCI compliance. If considering this route, you need to understand how credit card processing works with this type of merchant account and keep an eye out for added fees. QuickBooks GoPayment mobile credit card processing offers two fixed-rate price plans. At a glance, GoPayment seems cheaper than other flat-rate options, like Square, but the 25¢ per transaction fee quickly adds up in certain selling scenarios. We run the numbers for you below. GoPayment’s processing rates, especially for Plan 2 seem quite low, but the 25¢ fee adds up if you process many low-value transactions. Here’s a quick comparison of GoPayment’s plans compared to Square, which has no per-transaction fees on swipe sales. In the above scenario, GoPayment’s lower rate plan beats the others, even with the monthly fee. Now let’s look at an example with a higher number of sales, or transactions, for a business that sells a lot of low-priced items. Clearly, it pays to run the numbers and see which mobile credit card processing option works best for your specific selling needs. As this table shows, if you process a high number of low-value sales, the transaction fees add up fast! Here, Square’s no per-transaction fee setup is the far cheaper option. Accept Visa, MasterCard, Discover, American Express, Apple Pay, Google Pay, and Samsung Pay contactless payments. Process physical magstripe, EMV chip cards, contactless payments, and checks. Use cell phone and tablet cameras to scan and process cards. Receive and record cash and check payments. Seamlessly sync all mobile transactions to your QuickBooks data. Sell items from your inventory list or create custom charges. Review sales transactions and process refunds. Add up to 50 users on one GoPayment account. QuickBooks now offers an all-in-one card reader for accepting mobile wallet and contactless payments. GoPayment is a great option for businesses already using QuickBooks as a management tool. The main drawbacks for QuickBooks GoPayment is that the rates are simply higher than other solutions. Overall, QuickBooks is a reliable product and a good alternative, just not the most cost-effective. Reviews for QuickBooks as a whole are positive. QuickBooks GoPayment mobile app has good reviews in the app stores. However, users do report a few syncing issues between QuickBooks and GoPayment. For example, inventory data doesn’t sync back to QuickBooks when you sell over GoPayment. New customer information also does not get transferred over, and will have to be entered into QuickBooks manually. GoPayment syncs more closely with QuickBooks data than other mobile payment integrations, so it can be the best fit for QuickBooks users who need mobile credit card processing. Visit QuickBooks to create a free account and receive a free credit card reader. Whether you’re a brand-new business that is starting out with mobile credit card processing, or an established store looking to take your business on the go, you need a solution that is cost-effective, reliable, and easy to use. The best providers also do not have a monthly transaction minimum, fees, or contracts. We highly recommend Square as the mobile credit card processing company of choice. 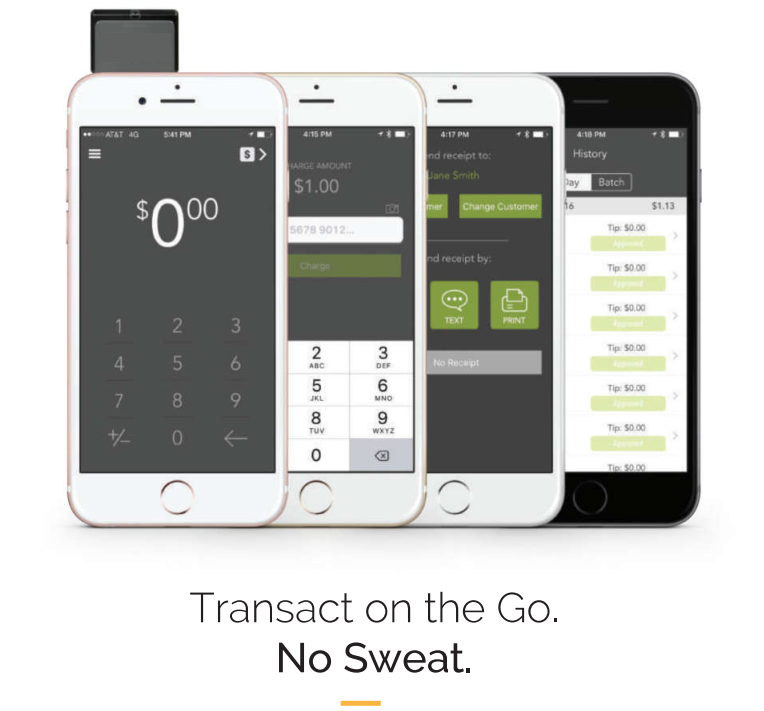 Their plug-and-play solution makes it super-easy for anyone to accept payments anywhere, even offline. No applications, startup fees, or hardware costs means it’s a risk-free investment. Plus, the Square app comes with the point-of-sale features you need to manage a business on the go. Visit Square to get started with a free account and mobile card reader. I own my own personal training business, with no other employees. I am looking to have about 20-30 customers set up on monthly or even bi-weekly recurring payments. May need to take POS payments once in a while. I don’t really need anything else. Would square be best for me? Thanks in advance for any feedback! Square’s recurring payments are tied to their invoicing feature — so to enable the automated payment, you need to set up automated invoices. If your amounts don’t change payment-to-payment, this is easy to do. At the first invoice send, your customer is able to set up their card for a recurring payment. Then, when your automated invoices run, the payments are triggered. It’s pretty easy once you run one series. If that sounds like it will work for you, then you have Square’s POS, card reader, and other business management tools at your disposal if and when you need them. I hope this helps with your decision. How does the square compare to pro pay? ProPay is more like a standard merchant account that charges different fees for different card types. For example, you’ll pay a higher rate to process an American Express card than a Visa card in most cases. They have some competitive rates, but there’s a sign-up fee plus an annual fee, unlike Square which has no sign-up fees or regular fees for any payment services. ProPay also has monthly transaction limits that can be inconvenient to deal with as you grow. Square has no standard limits. Square’s all-in-one is more seamless too, plus you get their great POS software for free. Hope this helps explain the differences. Many do! It’s a very streamlined payment and overall sales and business management system. Thanks for reading and commenting. Hello, what a wealth of info!! I’m a lic. plumber in NJ and all my bus. is mobile. I think the square is the best for me. I was wondering about any legal issues that i should be concerned about, or how/what to do to avoid them. thank you. I’m glad the information is helpful to you. 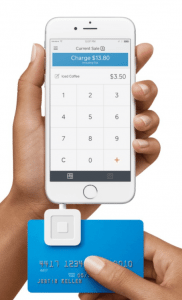 Square covers the credit card processing security issues for you, so there should be no legal headaches there. If you want to offer recurring payments, customers have to set that up themselves, so everything is correctly managed and maintained via their secure system. That’s one of the prime reasons that Square is such a popular mobile card processing options. Good luck! I’ve been reading some of the comments and they have been enlightening. I’m part owner of a home-base bakery that’s moving into a brick & mortar location. We’re currently using Square for payments/invoicing and Quickbooks for the back-end accounting/bookkeeping. We’re rebuilding/expanding our website to incorporate ecommerce. Square is not good for complex ecommerce options/building so we’re looking to build a stand alone site. Our current headache revolves around deposits. Square has no deposit option which makes accounting for them a significant pain. While I know Intuit/Quickbook does, I’m wondering what everyone’s opinion is on that function and other possible? If Square would ever build it in, I’d be ecstatic but they’ve replied to my inquiry with a not very likely anytime soon response. Thanks!